Mary Wilkins grew up in a farming family in Brize Norton, Oxfordshire. She learned to fly at Witney and Oxford Aero Club, where the directors were Mrs. Beatrice Macdonald and Mr. K. E. Walters. Her very first lesson on 8th August 1938 was in B.A. Swallow III G-AELH. Mary’s logbook shows two lessons in the same plane before the year ended. She had gained her ‘A’ licence in Swallows and a DH Gypsy Moth in 1938. On 15th March 1939 she flew B.A. Swallow G-AFGE for the first time. She flew it again on 26th April 1939. Years later Mary was reunited with this aircraft. Mary and Jackie Sorour (who became Jackie Moggridge) passed their “A” licence tests at the same time. Other Swallows flown by Mary during 1939 were G-ACFC, G-AELJ, G-AELH, G-AELE and G-AFGC, all in April 1939. She flew these many more times, finishing on 30th August 1939 in G-AFGD. This was Mary’s last flight before Britain declared war on Germany. All civil flying was grounded. Swallow G-AFGD was impressed into the RAF. During the war years Mary and Jackie worked together for the Air Transport Auxiliary. Mary joined ATA on 1st October 1941, when she answered the call from ATA Commandant Pauline Gower. Mary started at Central Flying School, training on Tiger Moths, Harts, and Hinds. After Hatfield she was moved to White Waltham. She stayed there until the all-female Hamble base was opened. There, she was billeted with a family in Bursledon. Mary was trained to fly fighters and bombers. Additionally, she was trained on an AVRO Tutor. “Not many others were,” she says. She achieved an impressive record of aircraft flown, including over 400 Spitfires and Seafires. The latter was the navy version of the Spitfire, with folding wings. It operated from aircraft carriers. Below is a list of aircraft she ferried in the Solent area. 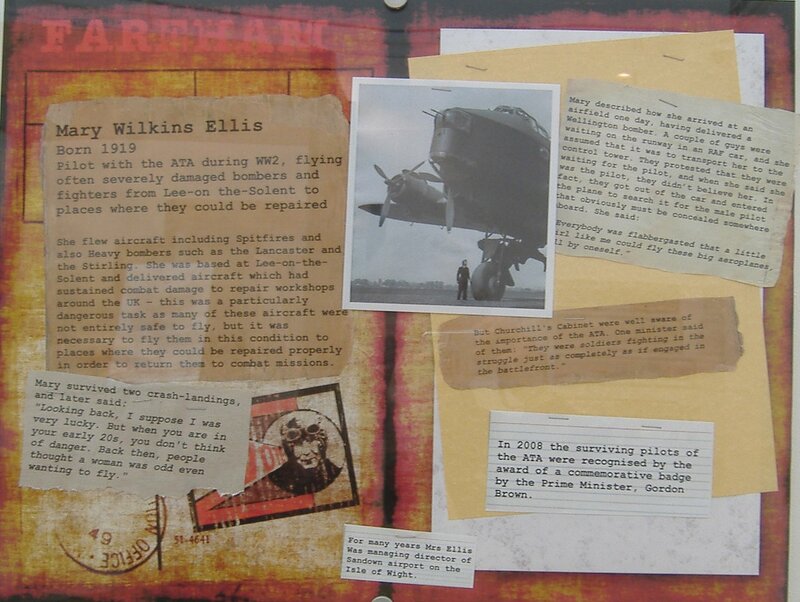 In the closing days of the war, Mary witnessed the near death experience of her friend, ATA pilot Anne Walker. R.J. Mitchell’s Spitfire was a triumph of design. His Supermarine Walrus bi-plane was less so. Like a penguin, the Walrus lumbered on land. It wallowed in the air but was supreme at sea. It was useful for air sea rescue and saved many lives during the war. However, the women pilots universally loathed it. Even the indomitable Lettice Curtis wasn’t keen on it. It almost took the life of First Officer Anne Walker. She and Mary were sent to Somerton Airport, Cowes, in June 1945. They were there to collect a Walrus each. Anne’s flight was doomed from take-off. 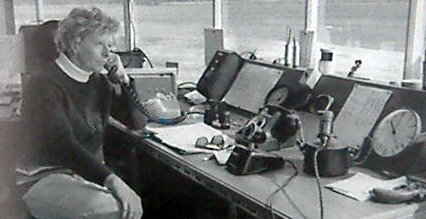 ATA pilot Veronica Volkersz, based at Hamble with Anne and Mary, described Somerton airfield as, “the size of a postage stamp. This made take off difficult.” Due to a gusty 40 mph crosswind, Anne had to take off uphill. Once airborne, the plane swung about. She fought to regain control of the unstable aircraft but it veered across the field. It hit a hut, ploughed through a hedge, into a bungalow. She was saved from the ensuing inferno because she wasn’t strapped in. The impact of the crash threw her almost out of the cockpit. A passing baker’s boy saw the crash. He bravely and quickly pulled her clear of the flames. Anne was unconscious with a head wound. She suffered three broken ribs. Mary saw it all from her waiting Walrus. She switched off the engine and ran to help. She went with Anne in the ambulance to Frank James Hospital in East Cowes. The patient stayed at the cottage hospital for three weeks. Six weeks after the crash, she was back on duty. Respect. Back at Somerton, Mary still had a plane to deliver. It was the first time throughout the whole war she doubted her courage. Until then she had, “just got on with it. But I did think then, if I fly this and land safely, it could be the last time I fly.” Land safely she did and continued with the ATA for another 6 months. Below are some of the aircraft she ferried to and from Lee-on-the-Solent, following her brief self-doubt. On 31 December 1945 only six women pilots were still flying for ATA. The last to leave, they were First Officers Mary Wilkins, Joan Nayler and Ann Blackwell, Captain Rosemary Rees, and Flight Captains Joan Hughes and Lucy Faulkner. The numerous Spitfires that Mary ferried in and out of Eastleigh (now Southampton Airport) are too many to list here. 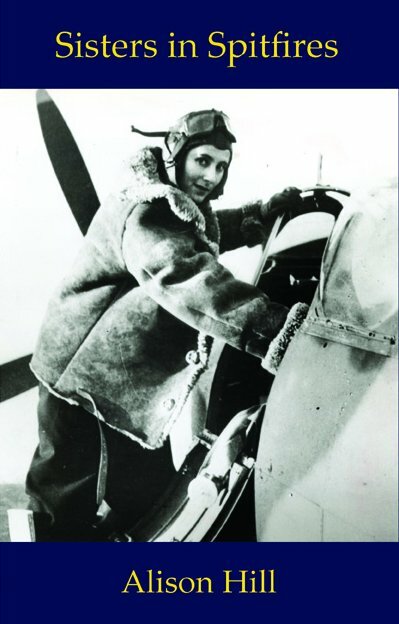 By the end of the war Mary Wilkins had amassed 1100 hours flying on 56 types of aircraft. Three years after the war ended Anne Walker, Walrus survivor, married Alexander Duncan. After the war Mary returned to her family home in Brize Norton. The farm kept her busy but her need for speed never left her. After the initial euphoria of peace had worn off, life must have seemed dull for this extraordinary band of ATA women. Mary was looking for an opportunity to get airborne again. In March 1948 she wrote to Flight magazine in response to their suggestion that women be allowed to try to beat the existing world’s speed record of 292 mph. Mary put her name forward. She claimed her ATA experience qualified her, as she’d flown faster in a Gloster Meteor. Bees Flight first took off in April 1949 with two Gemini aircraft, as an air charter business carrying passengers and freight. Based at Sandown (Lea) Airfield, it was owned by Mr. J. P. Stephenson Clarke. A wealthy farmer, he owned land on the Isle of Wight and mainland. Initially, he’d hired Mary as his personal pilot, to fly his Proctor between his farms and to big Agricultural Shows around the UK. Later, he bought the Lea field and appointed Mary Wilkins as managing director, operations and commercial manager. Her mission was to develop the under-used airfield. Dragon Rapide G-AKRN of Channel Airways from Portsmouth to Jersey via Sandown. Photo courtsey of Steve Gover. If the 1930s was, as some claim, the Golden Age of Aviation, then the 1950s was the Golden Age of Tourism on the Island. The decade saw tourism boom on the Wight. Hundreds of thousands of holidaymakers flocked there in the summer months. Some visitors sought the thrill of seeing the Island from the air. All of it was good business for Bees and Mary. 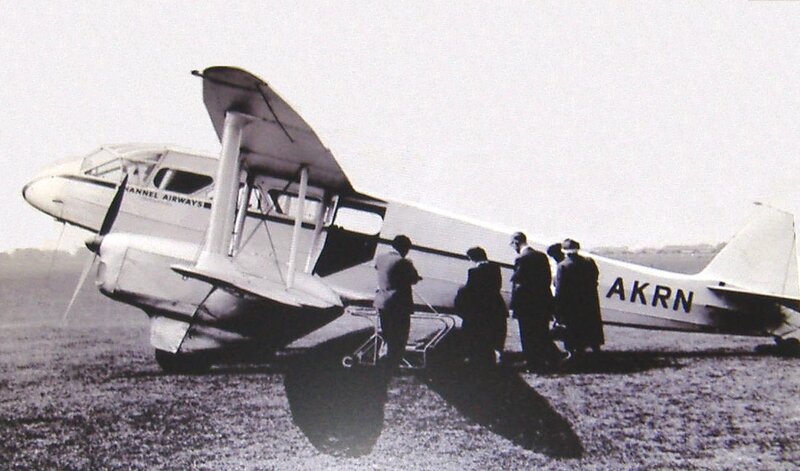 It was May 1951 that Melba Airways started a new service between Sandown and Hurn Airport, Bournemouth, using Dragon Rapide aircraft. By July 1951 Bees Flight had expanded. An extra Gemini was added and three other aircraft types. Flying lessons were introduced. 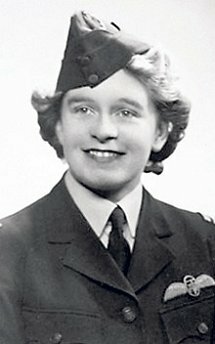 Mary recruited her wartime ATA Hamble friend, Vera Strodl, as Chief Flying Instructor. To boost business the Isle of Wight Aero Club encouraged women to learn to fly at Sandown. Described as a Utopia for any female with ambitions to become a pilot, Mary and CFI Vera gave a warm welcome to any would-be aviatrix who’d received a cool reception from male instructors elsewhere. They also boasted being the only airport on the Island which operated a V.H.F. ground station and full night-flying facilities. An exciting year for Mary was concluded In November when, as airport manager, she welcomed Lord Ogmore, Minister of Civil Aviation, and Sir Arnold Overton, M.C.A., Permanent Secretary. The men landed at Sandown and were taken to Cowes to see the Princess Flying Boat at Saunders-Roe. In 1987 she retired, having amassed over 30,000 hours of flying. In 2000 she was inducted into the Canadian Aviation Hall of Fame. Her bomber jacket was a unique piece of history. On it she’d recorded all the names of ATA aircraft types she’d flown. At the grand age of 96, Vera Strodl Dowling died in January 2015. Ten years earlier, still seeking thrills, she kicked off her slippers for a tandem parachute jump! Another remarkable 1930s aviatrix had passed into history. In August 1952 Bembridge and Sandown Aero Club held a joint flying rally. By November that year Bees Flight applied for a UK internal service to run from May 1953 until September 1958, to carry passengers and freight. Operating between Sandown and Portsmouth, the aircraft were Gemini and De Havilland 89A. The daily service was to start with four flights, increasing to ten. By March 1953 Mary’s job title was Traffic Manager. Bees added pleasure flights to the business. The fleet comprised a Dragon Rapide (G-AKMH), two Gemini, an Autocrat, and one Auster. 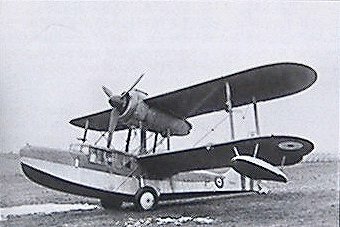 Later that year, the Rapide was used for pleasure flights to take passengers to Daedalus Airfield to see the RNAS Coronation Review Air Day at Lee-on-the-Solent. This was the same airfield where Mary had ferried Seafires during the war. When Mary wasn’t in the air, she indulged her other passion – racing her Allard sports car in rallies. 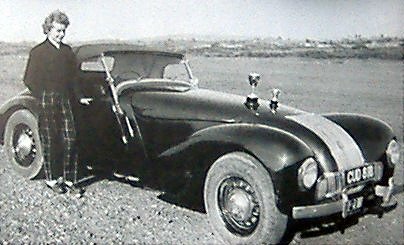 She won the Women’s Cup in the Isle of Wight Car Rally in April 1953. The following year she defended the title. The IW Car Rally started in the evening of 29 April 1954 at Cowes Parade. Watched by large crowds, 36 competitiors left at one minute intervals. Mary was the first driver away. Her co-driver was Sandown Regatta Queen, Miss Caroline Humphries. They took it in turns to navigate and drive. Most competitors finished the 322 mile course at Sandown the next morning, after 13 hours of testing driving. The course was kept secret until a few minutes before the start. The cars had to pass route controls and time checks. The drivers covered 3 figure-8 routes around the Island, mostly over 2nd and 3rd class roads. The gruelling test left some drivers so tired after the night competition, that they snatched some sleep in their cars. Crowds of spectators lined Sandown Esplanade in the morning to watch the conclusion of the elimination tests. Open sports cars, like Mary’s Allard, held a speed advantage. Mary didn’t often lose. In total she won five IW cups. She also competed in car rallies in Wales. Managing the airfield called upon Mary’s farming skills. She used sheep as lawn mowers to keep the airstrip grass cut. In August 1955 the IW Gliding Club at Sandown Airport acquired the first two-seater glider on the Island. Club members could then receive dual instruction. The following year, war hero Group Captain Douglas Bader made his first ever glider flight at Sandown. Don Ellis, the club instructor, piloted Bader and Sir Peter MacDonald, IW MP. In 1955 Veronica Volkersz and Mary Wilkins were invited to pair up for a BBC TV game show called, ‘Find the Link.’ Similar in style to the better-known show, ‘What’s My Line,’ the panel had to guess the challengers’ connection to a well-known person or organisation. The celebrity inquisitors were Kenneth Horne, Josephine Douglas, and Canadian Barbara Kelly (wife of TV star Bernard Braden). Our two intrepid pilots had to share the ‘green room’ with a slumbering python. Once in the studio hot seat they were as nervous as kittens. Veronica described the scene. “My knees were knocking and Mary was three shades paler.” Tongue-tied, the duo were quickly identified under the barrage of questions. The reward for their appearance was a cup of BBC coffee. The British Women Pilots’ Association held a weekend flying meeting at Sandown in September 1956. The Autocrat, a Magister and a Tiger Moth were available, plus instructors, for spot landing, circuit, navigation and technical knowledge competitions. Fourteen aviatrix attended, all arrived by air. Mary Wilkins and Betty McCullough, as resident pilots, welcomed all to the event. Janet Ferguson, the BWPA secretary was the organiser. Janet later ferried Britten-Norman Islanders across the world. On one occasion Lettice Curtis accompanied her. The event was repeated at the beginning of June 1958. The rally included both gliding and power flying. Mary hired Donald Ellis as a Bees Flight pilot. At some point Don became a pilot for the British Parachute Club at Sandown airport and made a jump himself. Bees Flight Auster G-AJAJ still exists today. The vintage aircraft has been used in TV dramas. Shown in this photo is Tony Austin, a pilot and parachutist and pilot Victor Scrivens. Both men worked at Bees Flight. To the right of Mary is her husband Don Ellis. As commandant of Sandown Airport, Mary organised her own early form of package holiday. She arranged for a bus to be at the airfield. It took passengers from arriving DC3’s, Herons, Rapides and Doves, to their hotels. That same original airport bus is now preserved at Ryde Bus Museum. Mary Wilkins and Donald Ellis married in 1961. Entrepreneur Mary Wilkins Ellis kept building the business. She invited several airlines to operate from Sandown. “As the commercial manager, I brought them all in,” she claims. Mercury Airlines launched their passenger service from Manchester to Sandown in May 1961. There were 3 flights at weekends during the summer. Mary was there to welcome the first plane. Later that day, guests were flown around the Island’s coast. In July 1964 British Westpoint Airline applied for a licence to run a year-round service, between Heathrow London and Sandown. They proposed 22 flights a week each way, £3 single and £5.50 return. However, the British Railways Board opposed it. British Hovercraft Corporation (BHC) of East Cowes hired Don Ellis in 1965 as a commander pilot and instructor. Some people may recall a TV programme with madcap British comedian Michael Bentine, of The Goons fame, when he made a journey up the Amazon by hovercraft. The pilot was Don Ellis. What would both men make of the plan, now 50 years on, to cut up the giant hovercraft at the Hovercraft Museum? Don bought a Swallow aircraft G-AFGE. “He kept it at the airfield next to our house and he flew it for many a year,” Mary told Solent Aviatrix. For Mary this was a happy reunion with a plane she’d learnt to fly in before the war. 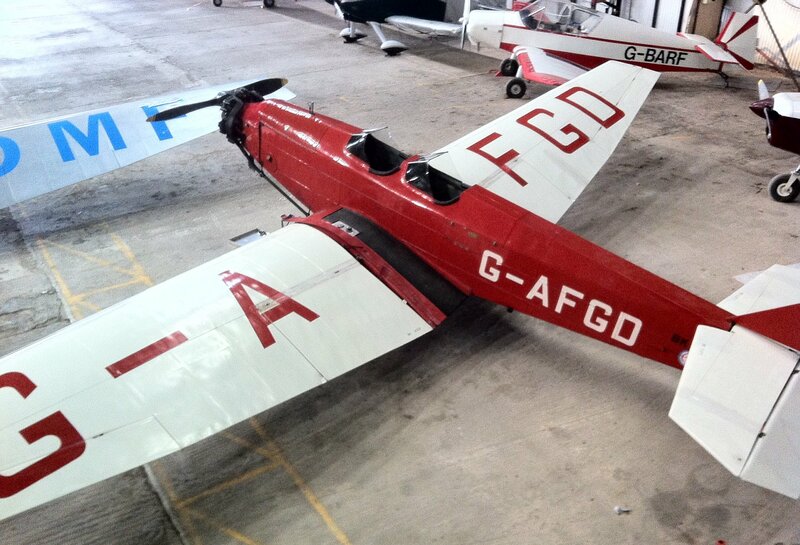 When training for her ‘B’ licence, she made her first flight in G-AFGE on 15 March 1939. Mary is delighted to know the last Swallow she flew at Oxford and Witney Aero Club in 1939, on the eve of WW2, has been fully restored by a group of enthusiasts. South Wales Swallow Group now own G-AFGD. She continued to manage Sandown airfield until the end of the decade. But in 1968 Stephenson Clarke decided to sell Bees Flight and the Airport. By September 1969 the new owner was Mr. J. Nat Somers, MD of Southampton Airport. BHC sent Don Ellis, as hovercraft instructor, to the Middle East in 1970. Mary bid farewell to Sandown Airport to accompany her husband. After the freedom and responsibility she’d enjoyed at Bees, the following four years of enforced confinement was, “Hell.” With little to do but look decorous, time dragged. A near neighbour of Mary’s was ex-ATA pilot Benedetta Willis, who lived at Bembridge. They met frequently. Benedetta’s story will be coming soon. The following decades brought the annual pleasure of ATA reunions at RAF Lyneham. A stalwart of these gatherings, Mary attended right up to the last one in a few years ago. In 1978 Don’s work for BHC was recognised when the Queen awarded him the OBE. Mary accompanied him to Buckingham Palace. 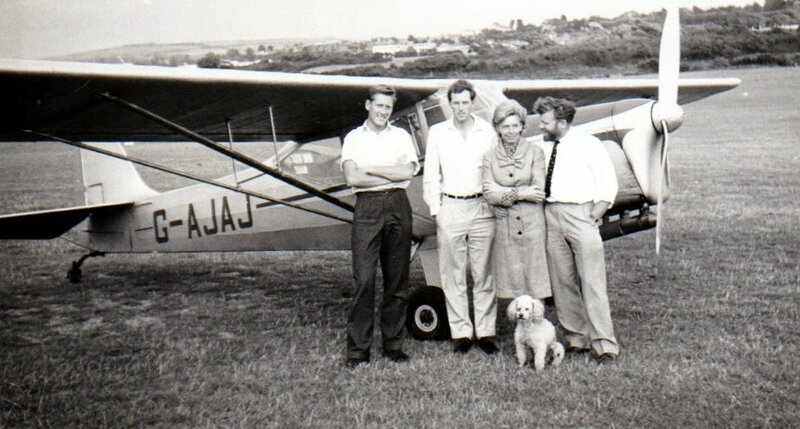 In June 1988 Don had the honour of flying two First World War Royal Flying Corp veterans around the Island in a Cessna. Hamish Currie, by then 90, and Norman Fielden, 88, both took the controls from Don, over the countryside. Don Ellis, O.B.E. died in December 2009 after a long illness. Adored by Mary, she has borne the loss in the stoic manner of her generation. I first met Mary in April 2010. A week earlier the Government had grounded all civil flights in the UK, after a volcano erupted in Iceland. Fears volcanic ash could damage aircraft engines meant the cancellation of all flights and chaos ensued at the airports. The unintended consequence was something not seen in British skies since before the 1950s – clear blue skies, not a vapour trail in sight. The only things flying were light aircraft and birds. I asked Mary if this was what it was like when she was learning to fly? ”Oh yes. It does take me back to those days. It’s not something I thought I’d see again.” Her opinion of the decision to stop all flights is best kept between her and me. The conversation turned to cars. Mary mused on what she might buy next. She was 90 then. It’s that resilient spirit and optimism that keeps her going. Mary keeps busy. She regularly attends commemorative functions on and off the Island. In 2007 she attended the unveiling of the ATA memorial at Hamble. 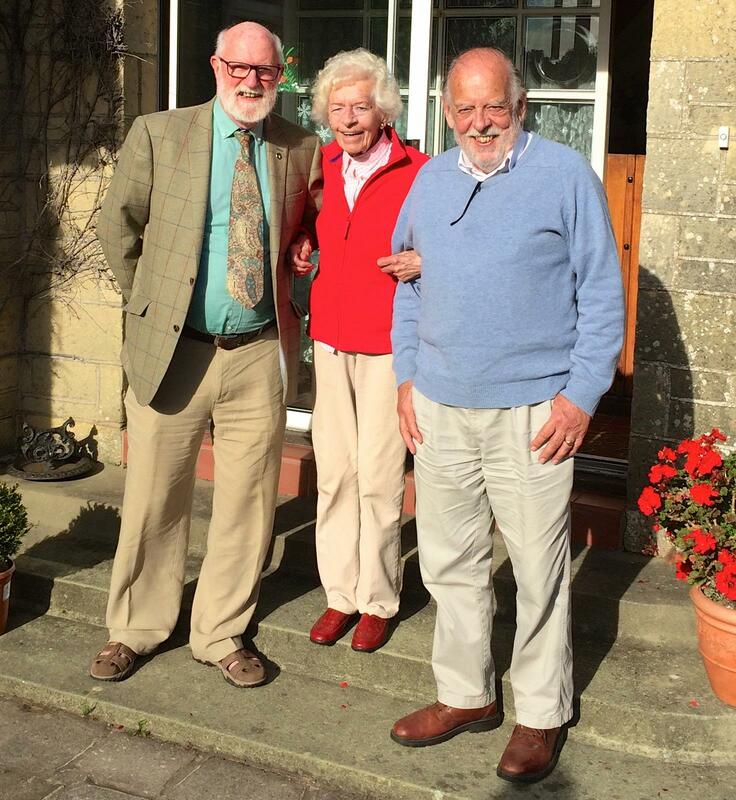 In 2015 she had a happy reunion at Sandown with two of her former Bees Flight pilots, Victor Scrivens and Brian Turpin. The same year she charmed Dermot O’Leary at the Battle of Britain commemoration in 2015, after she’d had another flight in a Spitfire.